For the seventh year in a row, some of Malta’s most established actors will be getting together to form a formidable cast in aid of charity. 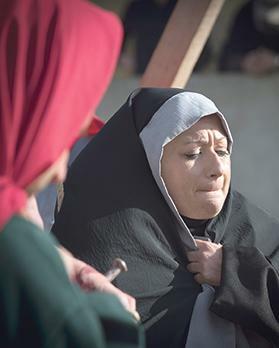 Vermiglio Theatre Productions in collaboration with the Santa Venera local council will be taking the Passion of Christ to the grounds of the picturesque Romeo Romano Gardens making it an interactive and unique experience for all those who decide to attend. The gardens will be replacing the streets of Jerusalem on that historical night and the audience will become part of the drama. The audience will be guided through the main stages of the Passion of Jesus, leading to the crucifixion. A number of natural spots will serve as backdrops to the scenes and monologues which bring the events to the audience in a realistic and personal manner. 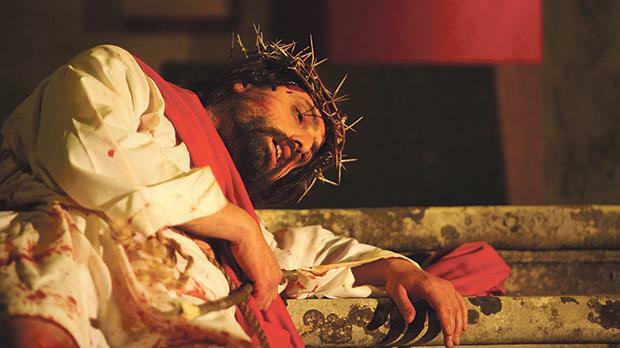 The play presents the Passion of Jesus Christ in such a way as to make the audience feel and experience the happenings on that day in Jerusalem. “The way we are presenting the play is intended to make those who attend feel as if they were part of the crowd witnessing the last two days in the life of Jesus prior to his Resurrection. It is for this reason that we have not made any use of amplification throughout the walk,” said director Alan Fenech who is also playing Jesus. The cast includes a number of established actors whose faces are familiar to those who love following local theatre and television productions. In the main roles one can find actors of the likes of Alan Fenech as Jesus, Joe Pace as the narrator, Michael Sciortino as Simon Peter, Michelle Zerafa as Mary Magdalene, Moira Muscat as the Blessed Virgin, Godwin Scerri as Pontius Pilate, Manuel Cassar as Joseph from Arimatea, Renato Dimech as James, Matthew Balzan as Judas Iscariot, Marco Grech as Nathaniel, Ray Cutajar as John, Ivan Debattista and Sandro Vella as King Herod, Aaron Fenech and Yurgen Sciberras as Nicodemus, Marisa Aquilina as Leah, Tony Fenech as Caiaphas, Silvio Axisa as Annas, Chris Degiorgio as Ezer, Mark Schembri as Barabbas and Alfred Mizzi as Itamar. The play will be held tomorrow, Wednesday and Thursday at Romeo Romano Gardens in Santa Venera at 7.30pm. Entrance is €10 (children under 12 years of age enter for free) with all proceeds going towards the Malta Community Chest Fund Foundation and the clients of Mount Carmel Hospital respectively. In order to ensure a better experience for each member of the audience tickets are limited and prior booking is highly recommended. For more information or to reserve your place in the audience call 9969 4718 or 2122 0665 or send an e-mail to ilmixja@gmail.com or a Facebook message on the official page Il-Mixja 2019. One may also choose to book online from the official website www.ilmixja.com.